Salubell® PHARMA is a Company specialised in the distribution of food supplements, organic and natural certified cosmetics in accordance with COSMOS standards, vegetable cosmetics and healthcare products intended for sale in pharmacies. We focus our efforts on providing, in a respectful and exquisite way, carefully selected products oriented to meet the standards of those people who follow healthy habits consistent with their lifestyle, keeping always in mind the essence and respect for nature´s gifts. The dual spirit of passion and hard work has taken us to strongly commit to the distribution of high quality and innovative designed products, which allow Salubell® PHARMA to be true to its nature: good work. Salubell® Pharma products are manufactured in one of the most modern and advanced facilities in our country, with the best required devices to guarantee the quality and safety of our products. The cosmetic products distributed by Salubell® Pharma are manufactured, packed, labelled, controlled and stored in facilities with Responsible Statement No. 35561/RG124953 . These facilities are in accordance with the certification number 1605007BPF (good manufacturing practice) for cosmetics, complying with the provisions of standard UNE EN ISO 22716. The food supplements and other food products distributed by Salubell® Pharma are manufactured, packed, labelled, controlled and stored in facilities in accordance with N.R.S. Nº 26.00861/MU and 31.01969/MU. They also have GMP, ISO 9001:2008, IFS and FDA registration certificates as a demonstration/indication of its commitment, quality and safety. 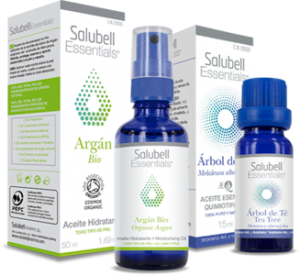 Salubell® Pharma cosmetics with ORGANIC* and NATURAL* COSMOS certificates guarantee our premium quality. 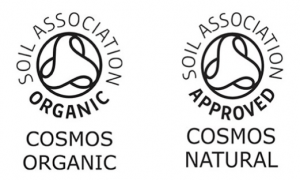 The certification is granted by SOIL ASSOCIATION Ltd., one of the most prestigious worldwide organizations that certify organic products, when the product contains a minimum of organic certified ingredients, and natural products, when it does not contain a minimum percentage of organic ingredients but meets the rest of the COSMOS Standard aspects. • The use of products from organic farming and biodiversity-friendly. • The use of natural resources in an environmentally responsible manner. • Clean manufacturing processes that do not adversely affect human health or the environment. *Cosmetics manufactured in facilities with Responsible Statement No. 35561/RG124953, whose certificates are granted by SOIL ASSOCIATION LTD. with License numbers CN25145 and CS25145 for COSMOS NATURAL y COSMOS ORGANIC certificates respectively. Salubell® PHARMA has been distributing products of the highest quality for over 15 years. Our continued growth is a clear manifestation of our firm commitment to provide effective natural products. Formed by 21 food supplements designed to obtain greater bioavailability with the lowest dose possible of active ingredients thanks to the synergy of its actives, leading into a more favorable outcome, all whilst preserving the body’s natural balance. Essential oils chemotypes collection 100% pure and natural, exceptional for our nutrition. Cosmetic vegetable oils, based on organic and natural actives for facial and body care. Ask for more informationARE YOU A HEALTHCARE PROFESSIONAL? Request a catalogue of Salubell® PHARMA products for professionals by filling in our form. Once your application is received, we will send you a download link with the information within 24-48 hours.